Senior Emma Yoder sinks two free throws to give the Rangers a seven-point lead with five seconds left in the game. Forest Hills Eastern then chucks it across the court, into the hands of their leading scorer and she shoots. The shot is off line and the FHC girls varsity basketball team wins their first game of the season over FHE with a final score of 47-40. 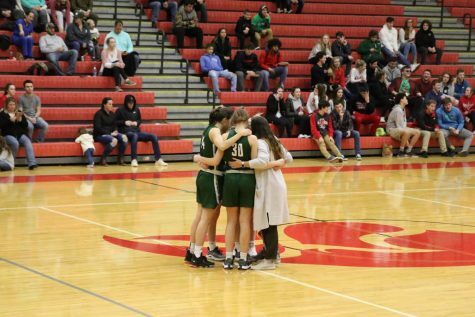 “I knew I had to go down and hit my free throws; just hit my free throws,” Emma said, reliving what was going through her head in the final seconds of this exciting game. 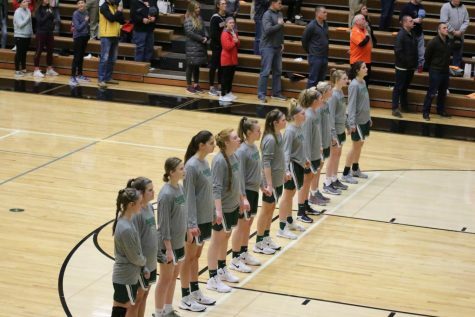 In just her second game of the season after being out with an ankle injury, Emma made her presence known in this back and forth game with a crosstown rival. She was the second highest scorer with 14 points and had nine rebounds to lead the team to the much-needed win tonight. The Hawks pulled ahead early in the first with two junior shooting guards on fire from outside the arc. 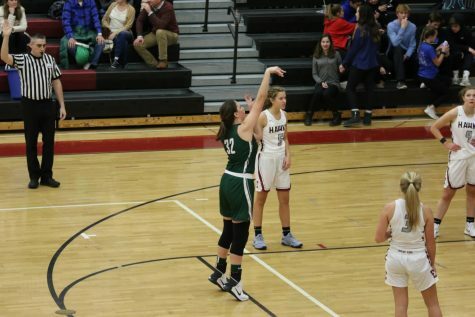 They scored six unanswered points before a layup from once again leading scorer junior Claire Baguley, who had 18 points on the night. FHE then went on the have eight more unanswered points. However, from this point on their lead didn’t exceed ten points. A steal from junior Chloe Grooters and a fastbreak layup cut the deficit to five points, as the Hawks were up 18-13 after the first. 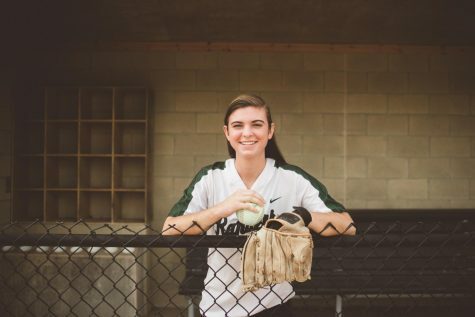 “I think [the steal] gave our team a spark and it boosted our energy,” Chloe said, playing her part in a very aggressive and fast-paced trap defense that the Rangers ran for the majority of the game. 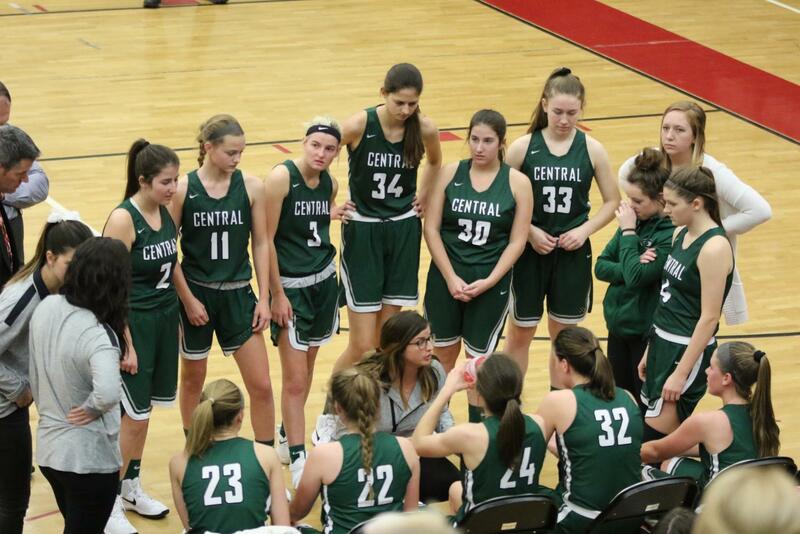 This defense led to 17 total steals FHC, including nine from freshman Zoe Lipke. Six of Zoe’s steals came in the first half, as well as five of her ten points on the game. 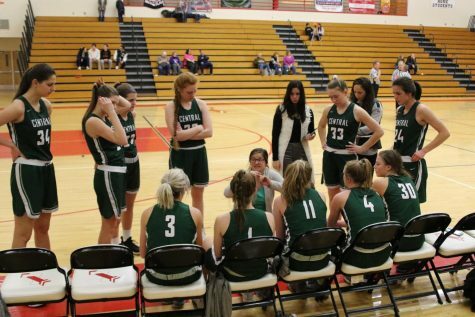 Zoe stepped into big shoes, filling in for the four-year-varsity member, senior point guard Madi Winter, who will return to the team in a couple of games. 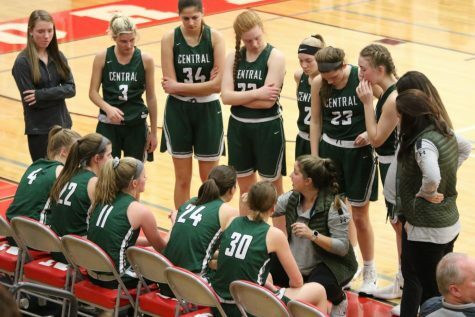 “Zoe ran our offense and we’ve been missing that the past few games,” Prins said about her freshman, who scored her career-high in a high school game tonight. The Rangers went into the locker room after two quarters trailing 28-22. Overall on the half, FHC gave up six three-pointers from the hands of the Hawks’ two highest scorers. After the half, however, another FHE three was not made. 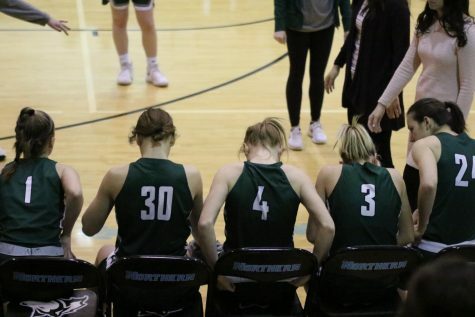 Prins put two of her best defensive players, Zoe and senior Breanna Probst, on the FHE red-hot shooters after the half, and they were instantly silenced. The opposing team only scored 12 points in the entire second half. The Lady Rangers took the lead with 5:15 left in the third for the first time all game and kept it until the final buzzer. FHC led 36-30 at the end of three. 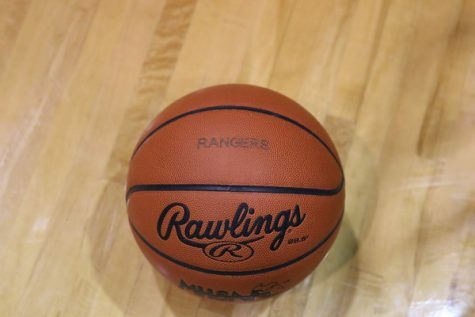 After maintaining an on average seven-point lead throughout the fourth, three minutes remained and the game became about running out the clock for the Rangers and stopping the clock for the Hawks. 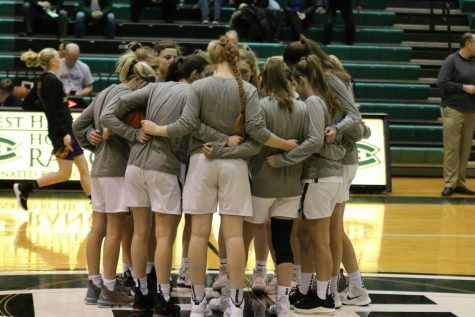 After an intense last few minutes with many fouls, jump balls, and turnovers, Emma was fouled and sent to the line to score the final two points and secure FHC’s win with a score of 47-40. 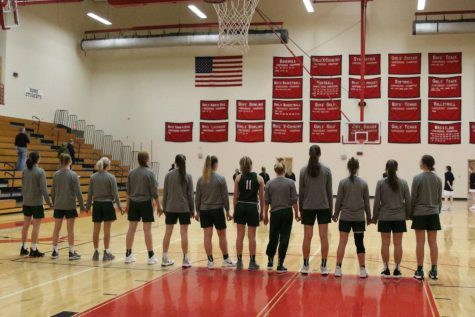 “It’s always nice to get a win, especially in a game like this [and] against a Forest Hills team,” Prins said, confident that this morale boost will help her 1-3 team moving forward. 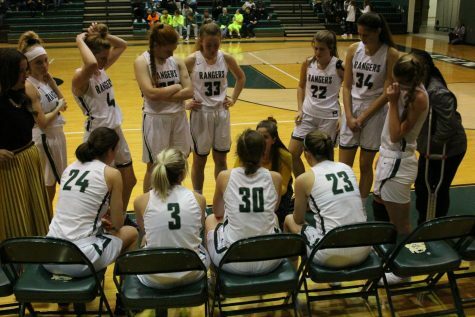 The Lady Rangers look to continue their winning streak in the Cornerstone Holiday tournament during the break and then head into Conference play once school resumes again in the New Year.